This post is part of a social shopper marketing insight campaign with Pollinate Media Group® and healthy mama® , but all my opinions are my own. A couple weeks ago I mentioned that we are starting to wean June. So far things are going along swimmingly. (Or not so swimmingly, if you ask June. She's losing her battle!) We are down to two nursing sessions on most days- when she wakes up and when she goes to bed. She wasn’t taking the milk the first few days, and in a desperate attempt to get something into her little belly, I resorted to mixing in a little chocolate instant breakfast. She guzzled it down in record time! I thought I was a genius for doing that, but now it's the only way she'll take her milk, so looks like I'm just an idiot and June's got me beat on this one. Ah well, you can't win em all! In celebration of our year of nursing and our upcoming complete weaning (think positive thoughts!) I want to share a couple of things I learned during the year that made breastfeeding easier for us and helped both June and I to have a pretty happy year nursing. 1. Push yourself to nurse in public! Or, like I call it, N.I.P.! Babies usually aren’t too fussy about where they are getting fed, but mamas sometimes are. I got comfortable nursing EVERYWHERE with June. I never felt tied down because we were breastfeeding. I nursed at campfires, baseball games, while playing cards, while walking around a museum, in a store, in church, watching Greg direct plays, EVERYWHERE. The more I did it the less I cared, and the easier our life got because we interrupted nothing for nursing. Can you tell I'm nursing a very small child under there? Nursing at a baseball game. Do you think the guy next to me knew I was nursing? 6. Nurse when baby wakes up. I this really well the first six months of June’s life, and after that her feedings were okay to be a little more flexible. This was crucial to me, though, to help me know why June was fussy. If I fed her right when she woke up then I knew when she was fussy an hour later it was because she was tired, not hungry. When you’re a fist time mom it’s hard to know what the baby is crying about! I also loved that feeding her right after she woke up allowed for full feedings so I didn’t have to nurse as often and I could always feel assured that she was getting all the nourishment she needed. June's not the only one always trying to nurse on me! 7. Pump and make dad (or grandma or other person who loves baby) feed baby AT LEAST once or twice a week. I pumped right from the start and we trained June to take a bottle right away because we knew she'd need to take a bottle for daycare. This saved us in daycare and out of daycare. Knowing that I could give feedings to someone else was really important to me. I loved that Greg could bond with June through feeding her, and that I could go to a baby shower at 6 pm and leave all the feeding/ bedtime routine jazz to Greg. This one is such a big one so that moms can have a break. It is worth the trouble of getting baby to take a bottle! 8. Walk! I was going to put exercise, but that sounds too intense. Nursing takes a TON of energy and it’s hard to always feel at your peak. 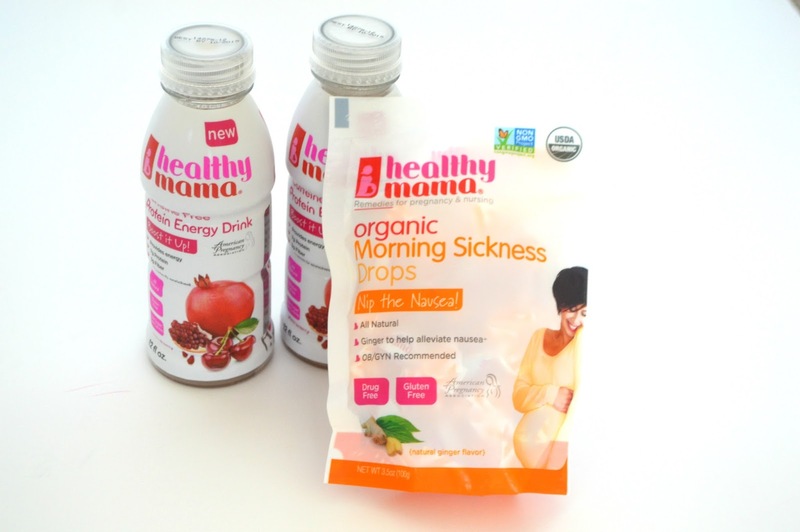 Nursing moms need energy and don't need to excessively exercise. That’s why I found walking to be so important to me- it allowed me to get that exercise without going too intense. I tried to walk at least 20 minutes a day while breast feeding and it’s amazing how it boosted my energy. I kind of can’t wait to be pregnant again so I can try all of these products. 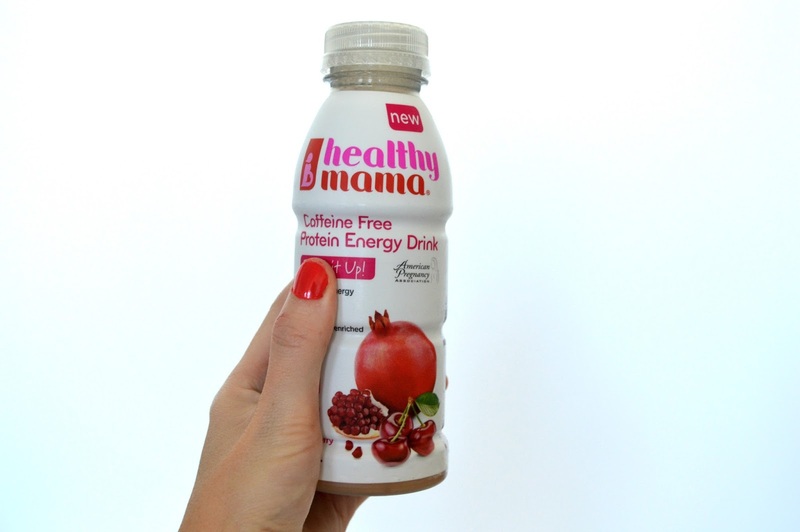 I found my healthy mama® boost it up! energy drinks at Walmart. They are located near the vitamins and prenatals. Also, I couldn't help but try some of the nausea drops. I'm not pregnant, but I took them on our ten hour road trip to Arizona last week to help with my motion sickness. Totally worked! Please share any of your breastfeeding tips. I figured some stuff out, but I definitely don't know it all. One thing I am far from mastering is the nursing wardrobe. I basically lived in the same five v neck stretched out tees to make for easy nursing. I tried pulling up but it was always hard to get the shirt up in any kind of discreet way. Send your tips! And as always, thanks for supporting me and the products that support this blog.